"We have experienced the uncertainty of this disease, and Winship Cancer Institute of Emory University helped our family fight back with excellent care at the forefront of medical advances," said trustee Lou Glenn. "While our gifts target breast cancer, we hope that others will invest in Winship’s research and exceptional care for all types of cancer so many more families can be helped. Just as we benefited from investments made years before we were touched by this disease, we are confident that this investment will help future patients survive and thrive." The National Cancer Institute says that one in every eight women will be diagnosed with breast cancer, making breast cancer the most widespread cancer found in women. GPB News reports that the Glenn Foundation research money will help address the devastating impact of breast cancer on women by increasing Winship’s cancer biospecimen bank, funding clinical trials, improving community access, and improving the center’s multidisciplinary efforts at screening and providing care for women at risk of cancer. According to the Atlanta Business Chronicle, the Winship Cancer Institute already has an excellent record of supporting research and treatment programs imperative to battling breast cancer, including such services as clinical trials that allow patients access to new treatments. Some of Winship’s research programs also entail investigation into why certain forms of breast cancer affect African American women more than women of any other ethnicity. "The Glenn Foundation’s generosity will empower the Glenn Family Breast Center at Winship to benefit generations of families in Atlanta, in Georgia and beyond," said Emory University President James W. Wagner. "Their leadership echoes that of Robert Winship Woodruff, whose philanthropy in honor of his mother’s battle with cancer led to the founding 75 years ago of what became Winship Cancer Institute. We are honored to serve as the destination for patients seeking innovative and individualized cancer treatment." The Glenn Family Foundation has also given money in the past for an endowed chair in breast cancer research, currently held by Ruth O’Regan, a Georgia Cancer Coalition Distinguished Cancer Scholar and a world-famous expert in cancer research. The Glenn family was moved to donate by their admiration for the care Winship gave to their young adult daughter in 2003. 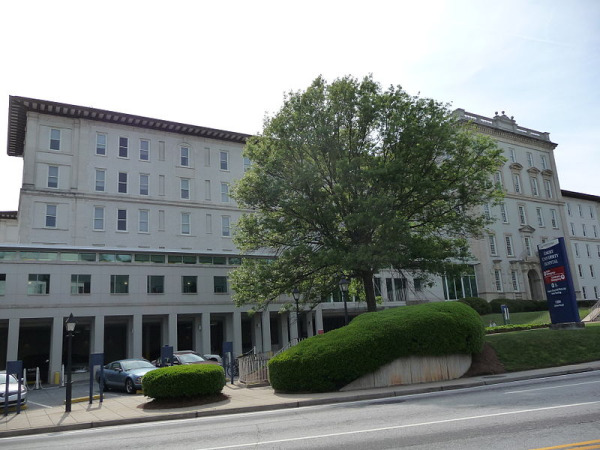 During their time of concern, they were appreciative of Emory's cancer care center, which is widely known as a vanguard of breast cancer research and treatment. 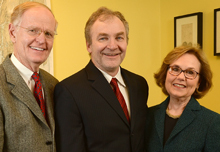 According to O’Regan and many others at Emory University, the research money donated by the Glenn Family will go a long way in addressing the terrible problems associated with breast cancer.